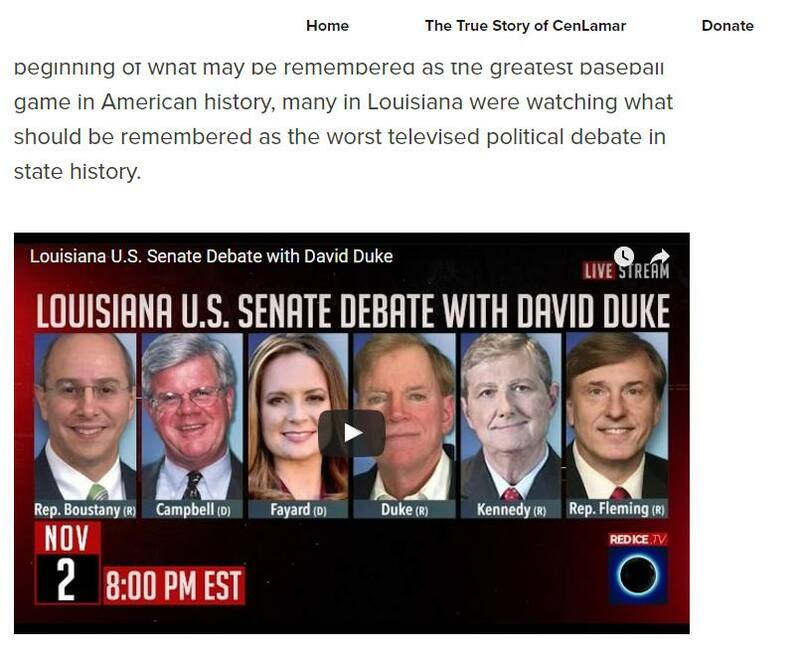 Last night, David Duke turned the last US Senate debate into a clown show. Scott covered the clown show more in depth this morning. As predictable as the sun rising out of the east, Lamar White wrote a long, screeching blog post denouncing Raycom Media for hosting David Duke. Duke made the debate because he scored 5.1% in the Mason-Dixon poll commissioned by Raycom. Lamar got so angry that he demanded an apology from Raycom. The one Lamar needs to seek an apology from are the 5.1% of people who actually support David Duke. They’re the ones who put him in the debate. But that’s not the best part of this post from Lamar. Lamar was so angry at Raycom for giving a white supremacist a platform that he gave white supremacists a platform. Lamar posted a video of the debate that was streamed from an outfit called Red Ice Radio. What is Red Ice Radio? Red Ice Radio is a neo-Nazi multimedia network based out of Sweden. The video Lamar posted did have a live stream of the debate. They also featured a post-debate wrap up for an hour featuring two of the Eurotrash neo-Nazi hosts and Kevin MacDonald, a white supremacist pseudo-academic whose “research” claims that Jews are genetically driven to destroy societies. David Duke himself even called in to the show at the 1 hour and 26 minute mark. Progressives have been trying to portray conservatives as racists even before David Duke. They have also been using Trump to bludgeon conservatives as well. But Louisiana’s biggest progressive blogger is the one giving Eurotrash neo-Nazis a platform on his website. 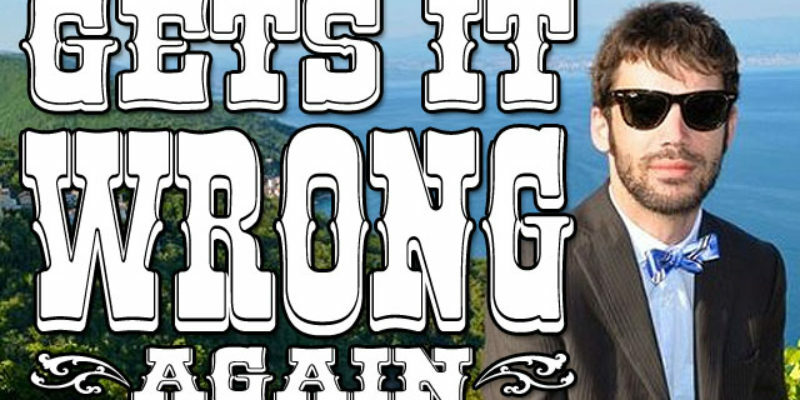 If I was a self-righteous progressive, I would demand Lamar White apologize for giving Eurotrash neo-Nazis a platform. However, it probably was an honest mistake and failing to check sources. Lamar, lay off of Raycom. David Duke made their debate fair and square by the criteria they laid out. It’s terrible, but the rules are the rules.